Nuvo glue pens are perfect for using with craft projects. The specifically designed nib glides easily across many surfaces for you to precisely add elegant details. Perfect for use with our Nuvo Glitters and our Nuvo Gilding Flakes. If the tip ever dries out all you need to do is push down on the nib and it fill back up with glue so you're ready to go again. 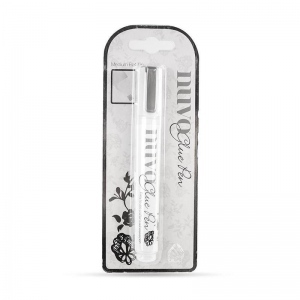 These beautifully elegant glue pens have a clear glue and also dries clear which is slightly different to our other Nuvo pens that had a blue glue.